This was a very cold, early December morning in Maine. I like the subject but am not sure if these work well or not. The first one has a bit of noise; I took out as much as I dared. Comments are appreciated. Not obvious from these angles but they are all pigeons. "Noise" - funny, Kurzo! 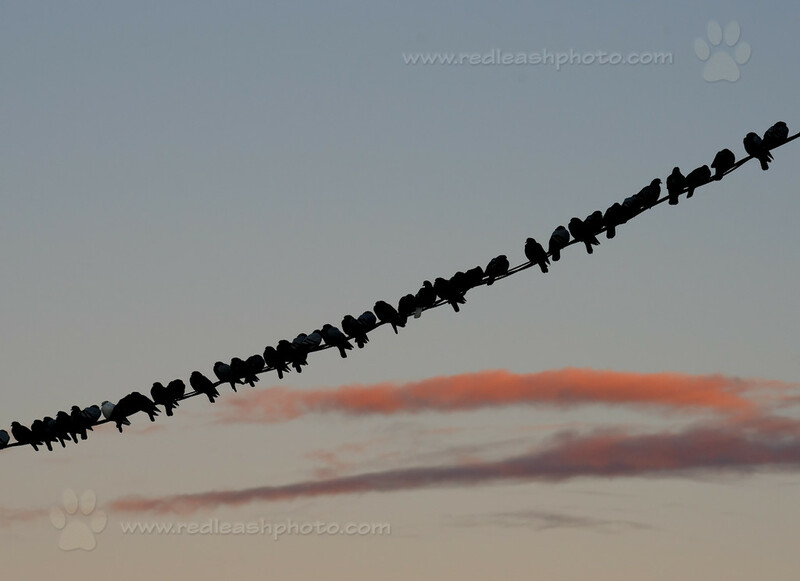 I often wonder why birds seem to congregate on wires. A lot of species live in flocks and I suppose the wires offer an easy and safe place to land and rest--few predators except a raptor would get to them. It also gives them a good viewpoint when looking for food and water.